Giveaway – Heat Holders – The Ultimate Thermal Sock! As the winter is approaching us fast using huge steps, there is no other option but to start thinking about our winter wardrobe. Winter jackets, hats, gloves, scarves and of course warm winter socks, ideally thermal ones! Extreme cold feet can cause chilblains and frostbite but even mildly cold feet can make us feel uncomfortable, miserable and reduce our productivity. 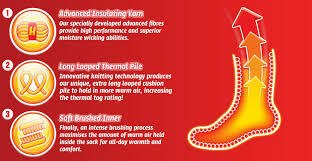 Keeping our feet warm gives us a healthier sense of wellbeing, allowing us to cope better with our environment. Warm feet have even been proven to aid in a good night’s sleep! Whether you are active outdoors, or working in a cold environment; whether you suffer from health issues or simply want a bit of extra comfort through the cold winter months: Heat Holders will help ensure NO MORE COLD FEET! Heat Holders come to the rescue and they are offering a pair of their fantastic Original Heat Holders to three of my lucky readers. You pick the sock you want, Heat Holders deliver them and you stay warm. Open to UK readers only. One obligatory entry per reader + 2 extra entries + 1 additional extra entry per day allowed. There will be 3 winners in total. Each winner will receive 1 pair of Original Heat Holders of their choice. Heat Holders will be responsible for the delivery of the prize. Winners will be picked at random and informed within 7 working days via email or Twitter. Winners will have 7 working days to claim the prize, after this time, a new winner will be selected. Closing day is 17-11-2013 at 23:59pm, an entry made after this time will not be counted. Well done to Andrea M., Katrina F. and Andrew C.
Email to follow very shortly. I followed Heat Holders on twitter. I liked Heat Holders’ facebook page.